One of my all time meals on my blog to recommend revolves around pulled pork. Most people can’t imagine making pulled pork better-for-you. It’s tender, smoky, it’s juicy, and flavorful- how can that be good for you? Simple! 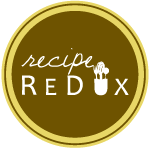 Just use a leaner piece of meat, plop it in your slow cooker or smoker with some vinegar and spices and you have an easy nutritious meal makeover! Pair it with a whole grain bread and a slaw or veggie and you’re good to go for a family friend & comforting meal that’s delicious and nutritious! Set the onions in the slow cooker then rest the pork on top. Prepare the liquid mixture (combining the vinegar, stock, Worcestershire, and liquid smoke). Pour along the edge of the pot. Prepare the spice “rub” by mixing together the seasonings and spices (brown sugar through the remaining ingredients). Sprinkle 1/2 the spice rub on the pork. Set to low for 8 hours and walk away! Shred with two forks and allow to keep warm for another hour + to allow the juices to soak up into the pulled meat. About half way through the cooking (if able), flip the meat and sprinkle the remaining spice mixture on the second half of the meat. If you cannot complete this step because you are away during the day, don’t worry! Simply add all the spice rub in the beginning, shred when able, and serve when able. It’ll be delicious either way! On a 100% whole grain or whole wheat sandwich thin or round, spread on some BBQ sauce, add a good helping of meat, and top it off with a kale slaw. If you’re wondering what particular BBQ sauce I use, there really isn’t any go-to brand in my house. I’ve had almost every store-brand and restaurant brand on hand at some time or another. Go ahead and use any one you like because the amount you’ll likely use on your bread is so insignificant that the sugars and sodium won’t make or break your meal. I like to recommend, and follow my own advice, to incorporate a vegetable into every meal. A slaw of some sort just goes well with this meal. While I don’t personally care for heavy-mayo-based traditional slaws, I’m a big fan of what I call zesty slaws. Simply toss together shredded or julienne veggies, Greek yogurt, and lime juice or vinegar and top it on your pulled pork sandwich! It really helps to bring all the flavors home. A cool. zest slaw with a spicy, warm sandwich is the perfect pairing.